MOSCOW -- Russia's state aviation agency on Friday banned Egypt's national carrier from flying to Russia, a move that follows the suspension of all Russian flights to Egypt after a deadly crash. Rosaviatsiya on Friday formally notified Moscow's Domodedovo airport, where Egypt Air flights arrive, that the ban is effective starting Saturday, said the airport spokesman Alexander Vlasov. The aviation agency didn't give any immediate reason for the ban on flights. The move follows Russian President Vladimir Putin's decision to suspend all Russian flights to Egypt after the Oct. 31 crash of a Russian passenger jet in Egypt that killed all 224 people on board. Egypt's Foreign Ministry declined to comment on the ban, saying it amounted to a "technical issue" between the Russian and Egyptian aviation ministries and deferring to them. 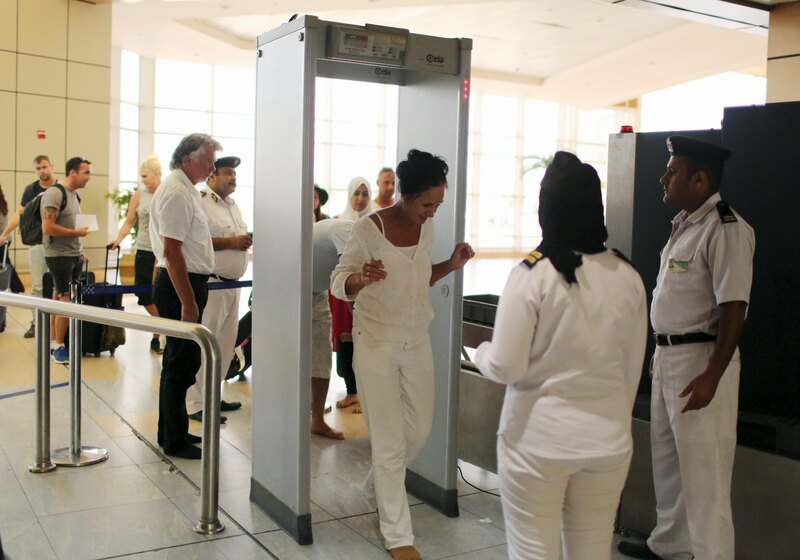 Moscow said the ban was necessary because of concerns about security at Egypt's airports. U.S. and British officials have cited intelligence reports indicating that the plane was brought down by a bomb on board shortly after it took off from Egypt's Sharm al-Sheikh en route to St. Petersburg. But Russia and Egypt said the statements were premature as the official crash probe has not concluded. The flight ban, however, suggests that Russia takes the prospect exceptionally seriously. On Tuesday, President Vladimir Putin's chief of staff, Sergei Ivanov, said the flight ban will last for at least several months, a severe blow to Egypt's struggling tourism industries that depend on Russian tourists for a large share of their revenue. On Friday, Russia's national flag carrier, Aeroflot, said it will not fly to Egypt until March 27, 2016.